It’s been only 10 days from my last good things update and I have a new and exciting list. Yesterday I was very busy and I think this will go on for another couple of weeks. I will try to keep posting at least 3 times a week, hopefully more. 1. Veeno Liverpool opening night. I’ve been invited to the opening party at Veeno, Liverpool. It’s a family run business with wine bars in Manchester, Leeds, York and now in Liverpool too. It was a lovely night out, the staff was very friendly and the wine was very good. 2. Hooked on music in Manchester. I received another invitation, this time for a night out in Manchester in the name of science. Yes, a scientific experiment can involve drinking wine and dancing. Hubby and I went to the Museum of Science and Industry’s for a silent disco #HookedOnMusic. The invitation said that scientists will be researching the ‘dance-ability’ of songs. It was an overhead camera that encompassed the dance floor so they can investigate the effect that catchy, earworm tracks have on the silent disco attendees. We have now to complete a questionnaire about the songs to see how much we can remember. It was so much fun. 3. Great British Bake Off – bake along. GBBO started 3 weeks ago and so far I managed to bake along. For the first week I’ve made a madeira cake, for the second week biscotti and for the last week wholemeal oaty soda bread and baguettes. All four recipes were new to me and this is why I joined in. I like the challenges and baking something new is a challenge, especially if “everybody” knows and I “have” to share the results. Here are the recipes so far. Today I plan more bread baking because we love bread. Next week is desserts and this time I’ll bake something I know: creme brulees, so I have to add a twist. 4. My new Instagram account. I finally made an Instagram account and I think I should have made it sooner, I love it. 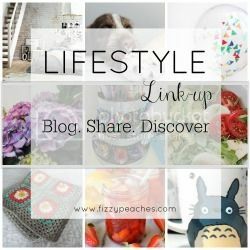 Sharing a couple of pictures each day is a great way to get a glimpse of the life-outside-the-blog of the bloggers I am following. I know twitter has the same purpose, but it so dynamic that I often feel I’m loosing a lot of interesting stuff because I can’t spend more time on it. Have a look here for the giveaway, if you fancy it. 5. F1 starts again after the summer break. After last week’s RedBull Air race at Ascot when a Brit won,F1 starts again. This week is the F1 weekend at Spa in Belgium, today is qualifying and tomorrow the race, can’t wait. I saw free practice yesterday and it was fab, Rosberg’s tyre blow up at 190mph and he stopped the car before the barriers, without getting hurt. He remained the fastest in both session, despite the incident with the tyre. Thank you Kezzie x The bake off is proving to be hard and I love it, I want a challenge and I learned a few things from it. The silent disco research sounds amazing! What a fun experiment to be part of! I’m loving GBBO this year, but I never thought about baking along with it each week! I really want to try making the breads, some of those looked fantastic! Sounds like a pretty good ten days. I’m now following you on Instagram!